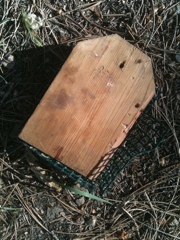 The bear got the suet feeder and a thistle feeder, but was unsuccessful in it’s attempt to come in the house. Beth, maybe you could take some pictures of the cabin for your followers because it is so charming. I envy your cool weather because it is still hot here in Mexico. Soon the rain starts and I am looking forward to it.